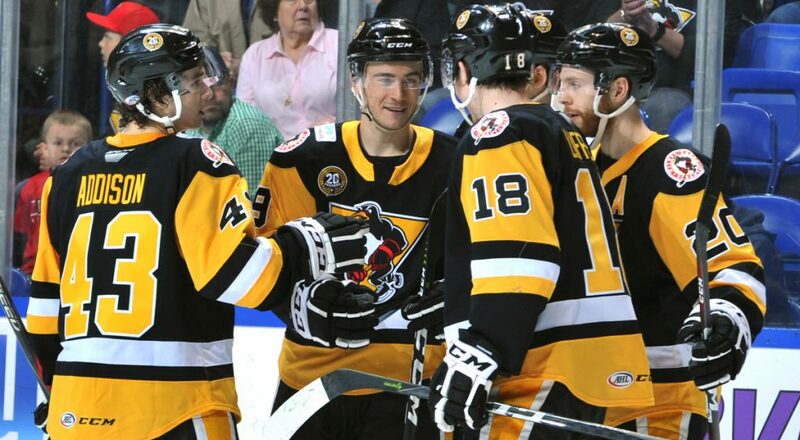 WILKES-BARRE, Pa. – The Wilkes-Barre/Scranton Penguins celebrated their annual Fan Appreciation Night at Mohegan Sun Arena at Casey Plaza on Saturday, but the game ended in a 5-2 loss to the Bridgeport Sound Tigers. Wilkes-Barre/Scranton (35-30-7-3) took an early lead on a goal that arrived 67 seconds into the game, but Bridgeport had a swift response and never looked back. 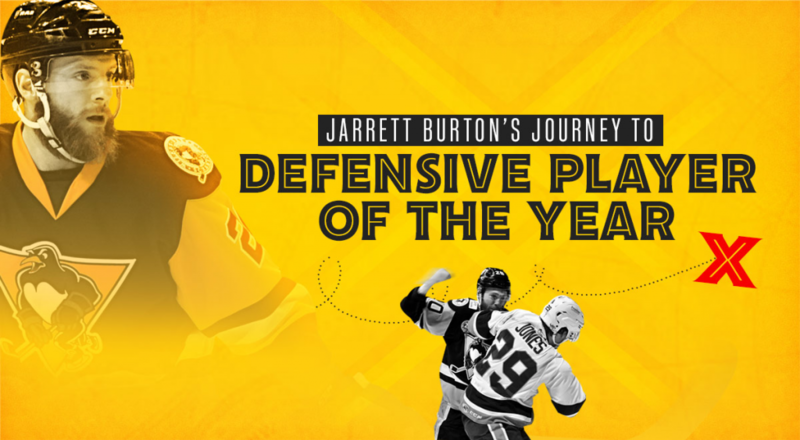 The Penguins seized their one-goal edge when the team’s Rookie of the Year Award-winner, Sam Lafferty, wheeled across the high slot and threw a backhanded shot at the net with the rebound bouncing right to Ben Sexton who lit the lamp. Calen Addison provided the secondary assist, earning his first pro point in just his second AHL game. Bridgeport responded 1:29 later with a power-play tally off a tip by Steve Bernier. The Sound Tigers used their man advantage unit again to take the lead, 2-1, during a late five-on-three power play. Pretty perimeter passing set up Mitch Vande Sompel for the one-timer with less than two minutes to plat in the opening frame. 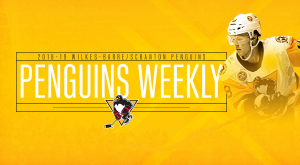 Wilkes-Barre/Scranton used a power-play goal of its own to pull even, 2-2. Jake Lucchini evened the scales at 6:09 of the middle stanza, lifting a perfectly placed shot over the glove of Christopher Gibson. At 15:39 of the second period, Otto Koivula put the Sound Tigers back on top. A pair of goals scored 26 seconds apart in the third stanza fortified the Sound Tigers’ lead. 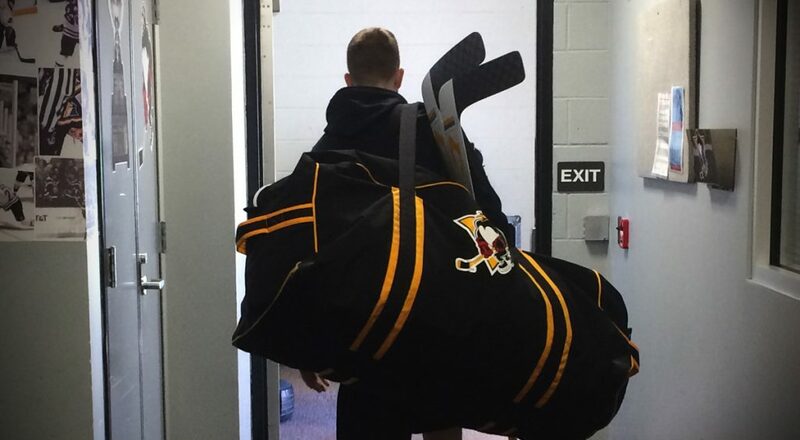 Penguins goalie Alex D’Orio denied 28 of the 33 bids he faced in his professional debut. Gibson secured victory for the Sound Tigers with 21 saves. 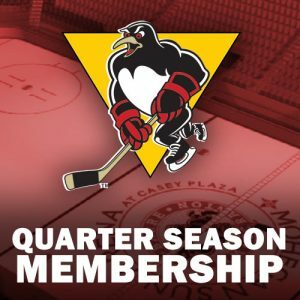 Wilkes-Barre/Scranton’s next game is tomorrow, Sunday, Apr. 14, against the Binghamton Devils. 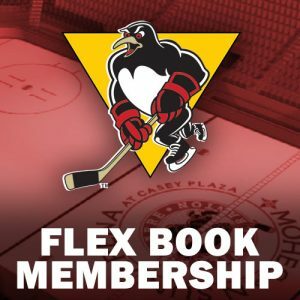 It is also the Penguins’ last game of the 2018-19 season, as well as a Kids Free Sunday. Children age 14 and under can attend the game for free with the paid purchase of an adult ticket. Puck drop between the Penguins and Devils is scheduled for 3:05 p.m. at Mohegan Sun Arena at Casey Plaza. Individual tickets for Wilkes-Barre/Scranton home games can be purchased at the Mohegan Sun Arena at Casey Plaza box office, through all Ticketmaster outlets, or by contacting the Penguins’ offices at (570) 208-7367. 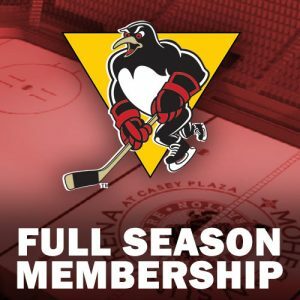 Season ticket packages for the Wilkes-Barre/Scranton Penguins are available by reaching out to the Penguins directly at (570) 208-7367.